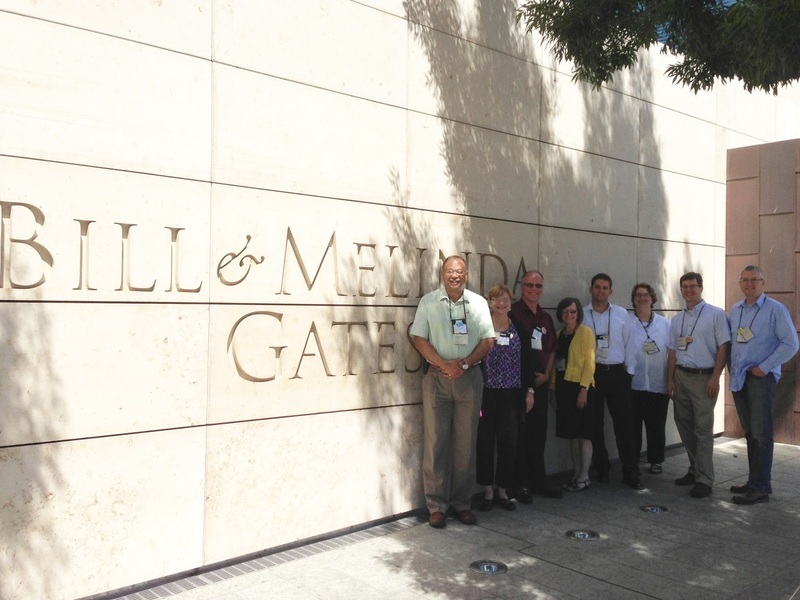 I have just returned from a wonderful three-day working meeting in Seattle held at the Gates Foundation headquarters. Charter Oak has been named a Next Generation Learning Challenge school, and we were funded to bring a team of 8 staff members representing senior administration, information technology, learning design, institutional effectiveness, and prior learning assessment to the working meeting. This is phase two of the Next Gen program funded by Gates, and they asked EDUCAUSE and the Innovation League to operate the program. Our eight-institution group is referred to as the Breakthrough Incubator Institutions. We are all pretty excited about both the honor and the work. We were invited to apply for the funding by imagining a Breakthrough Project that we could manage if they gave us $100,000 in seed money. We proposed growing our competency-based learning initiatives -- testing, portfolios, and assessment of non-collegiate learning -- and increasing the amount of Prior Learning Assessment (PLA) credit on our graduates' transcripts from the current 13% to approximately 20%. If we succeed in encouraging our adult students to implement more of our PLA choices, they will save money, graduate faster, and graduate at higher percentages. The Foundation was intrigued by this argument and our approach. So off to Seattle we flew for a series of 12 hour days. It was invigorating, creative, and we came to see our program more clearly. Our group will work toward a January launch date for our effort. I write this just before I leave for a second trip related to this work. A group of us from Charter Oak (do you sense a pattern here?) have been funded to fly to Chicago for two days of conversation around how to get Federal Title IV financial aid to flow to competency-based learning programs. Currently, Title IV dollars (Pell grants) can be used to support courses but not tests or portfolios (even though these are less expensive options). So we have been part of a group of institutions fighting to get the Department of Education to allow either a Demonstration Program or a Pilot Program that makes competency-based programs eligible for federal financial aid. The Charter Oak vision for this is that the federal dollars should follow student choice not dictate it. If a student sees a test or a portfolio as the best choice for them, then their financial aid should empower this choice, not resist it. So wish us luck. Higher Education is under real pressure to lower its cost while improving its outcomes. For our students, we believe we have the right approach to accomplish both of those goals, and prior learning assessment is the solution. And as always, I’d be interested in hearing from those of you that have used or are using some of these methods to gain college credit and what you thought of the value of that experience.